Randy Couture – UFC’s VI(OA)P! 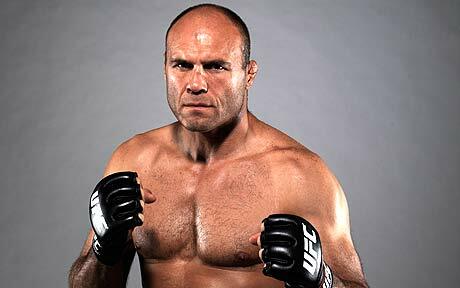 Go along to UFC 68’s official website and look at the photo of Randy Couture and you’d be forgiven for misjudging his age. It’s obvious that Couture never really ‘retired’ and that he’s been looking at his approach to training during that time. “I think as you get older you know what works and what doesn’t work and throw out the things that aren’t helping too much. You refine the things that do help and as long as you’re continuing to progress as a fighter and learn new skills, you continue to get yourself into physical shape and not wear yourself down. Unlike the other journalists present I didn’t want to shy away from the most obvious question, i.e., was this really a genuine comeback or was it a pension top-up? It’s clear that he’s getting fed-up with all of the usual questions and is eager to get on with the fight. Why? And how long can you keep going? Why? The answer is ‘why not?’ I’m perfectly capable of competing in the sport I love doing so why not do it? Judging from the photo they have of him on the website that last statement is certainly true with his physique bettering that of the much younger Sylvia easily. Randy’s retirement never seemed to be a comfortable situation for him as he was constantly attending events or getting involved in events and it often seemed a matter of when, not if, he would attempt a come back. This did beg the question as to why he retired in the first place. During my interview with Tim Sylvia he stated that Randy’s comments had really motivated him for this fight. For those not aware of what those comments might have I shall summarise them. Randy believed that, compared to his title fight, Tim held back in his fight against Jeff Monson and showed a conservatism that, to Randy, looked like he was lacking the drive and passion needed. Tim obviously took this to heart and in the pre-fight video on UFC.com stated that he was not holding the belt high and trying to protect it. I asked Randy to clarify his feelings on this, “I definitely felt that in the Jeff Monson fight after he answered the question on the ground he had Jeff in trouble. He could have stepped up and found a way to finish that fight and be aggressive and show the passion that put him in that belt in the first place and I didn’t see that. I know they had a specific game plan for Jeff and maybe out of respect for Jeff he didn’t take any risks. I gave him the benefit of the doubt in the fight against Arlovski. Both guys gaining knockouts on each other and that is a situation where you want to be more conservative in your approach. I’m not criticising but I think that the fans are on his back about it as well as the way he represents himself. This is definitely one of the most talked about matches for a long time, overshadowing the Hughes versus Lyttle fight by a long way. Debate rages across the internet as to whether Tim will knock Randy out in the first round or whether Randy will be able to last against him. For this fight, Randy is definitely the underdog with most people putting their money on Tim. Having spoken to both men I wouldn’t want to bet either way. I do know that this is going to be one of the most exciting, explosive and debated fights in the history of the UFC. « Rich Franklin – Back on track?